Or view larger version. Untitled (Portrait of a Spanish Woman). ca. 1856. Photographer unknown. Ambrotype. Collection of Oakland Museum of California. Gift of Dr. Stanley B. Burns. 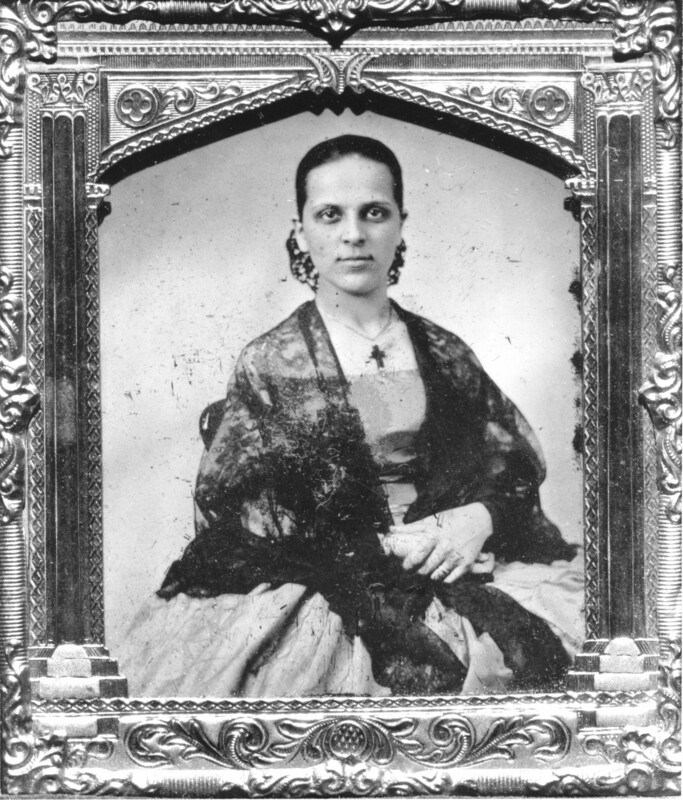 This photograph is an ambrotype of an anonymous Californio woman during the Gold Rush. The Californios were a group of Spanish speaking people who had come from Mexico to settle in California after the establishment of the first Spanish mission in 1769. After the Mexican American War in 1848, many Californios had difficulty holding on to their land and were often force to sell in order to cover legal expenses that arose from having to prove their claims.